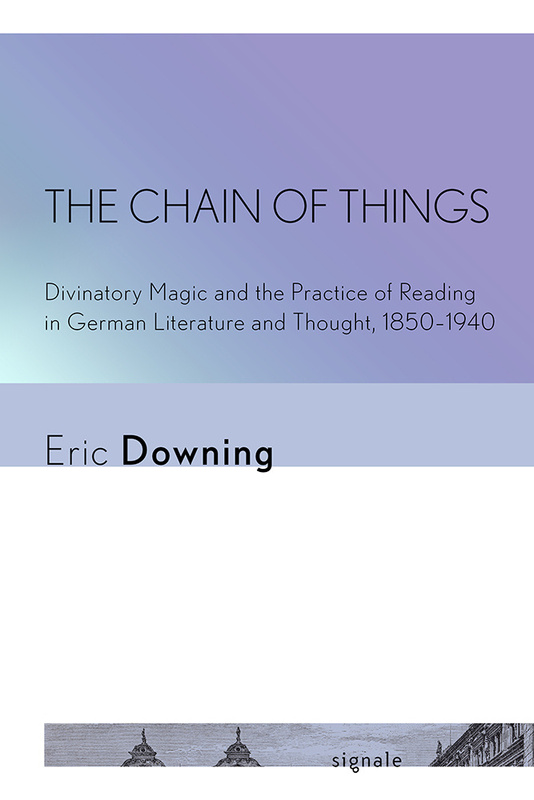 In The Chain of Things, Eric Downing shows how the connection between divinatory magic and reading shaped the experience of reading and aesthetics among nineteenth-century realists and modernist thinkers. He explores how writers, artists, and critics such as Gottfried Keller, Theodor Fontane, and Walter Benjamin drew on the ancient practice of divination, connecting the Greek idea of sympathetic magic to the German aesthetic concept of the attunement of mood and atmosphere. Downing deftly traces the genealogical connection between reading and art in classical antiquity, nineteenth-century realism, and modernism, attending to the ways in which the modern re-enchantment of the world—both in nature and human society—consciously engaged ancient practices that aimed at preternatural prediction. Of particular significance to the argument presented in The Chain of Things is how the future figured into the reading of texts during this period, a time when the future as a narrative determinant or article of historical faith was losing its force. Elaborating a new theory of magic as a critical tool, Downing secures crucial links between the governing notions of time, world, the "real," and art. Eric Downing is Professor of German, English, and Comparative Literature and Adjunct Professor of Classics at the University of North Carolina.